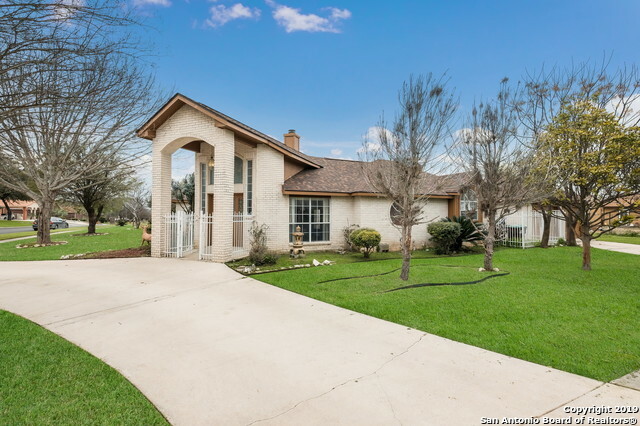 All LINKWOOD homes currently listed for sale in San Antonio as of 04/25/2019 are shown below. You can change the search criteria at any time by pressing the 'Change Search' button below. "Come take a tour of this beautiful home which features a circular driveway, spacious kitchen, tons of entertainment space indoor & outdoor & an enclosed in ground pool, perfect for relaxing by after summer BBQs! Located near the Medical Center, variety of eateries, shops & conveniently close to highways I-410 & I-10. Schedule a showing today & see all this home boasts, recently installed wood floors, tile, updated appliances, & light fixtures throughout,water softener & osmosis replaced in 2018 "
"Cute Single Story Home w/No Bells and Whistles North Side San Antonio. Open-Plan and High Ceilings! Lots of Windows for Abundance of Natural Light Throughout! Island Kitchen w/All Appliances Included! Master Suite w/Vaulted Ceilings, Walk-In Closet and Full Bath Including Double Vanities! Secondary Bedrooms are a Good Size w/Nice Closet Space Too! Covered Porches Front and Back w/Fresh Landscaping, Dog Kennel/Gardening area, Mature Trees, New Fencing and SO MUCH MORE!"